Adds Action button to the unmatched combination of features of the QuietComfort 35's. BOSE QuietComfort 35 Headphones 1. Industry-leading audio performance and noise reduction. Color Black. Ear cushions remain comfortable for hours of listening. 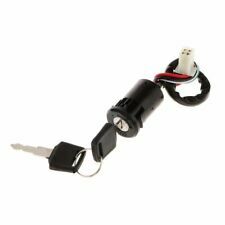 Fits for most 50/70/90/110/125/150/200/250cc Motorbike ATV Quad Dirt Bike. For replacing your faulty part. 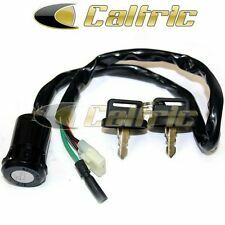 Fits: Most Chinese Made 90cc 110cc 125cc 140cc 150cc 200cc 250cc Quad ATV Go Kart Pit Dirt Bike Moped Scooter. We will do our best to resolve the issue. We will help you solve it. High Tensile Steel Cable. Cable Material Steel wire. 1PC(s) Forged Steel Tow Hook. Gross Weight: 7kg. Fairlead: 4-way Roller fairlead. Braking action Dynamic. Wire Rope Ø5.5mm x 10m. Mounting bolt pattern 80mm. Very light, float in water. Easy to handle and splice. Minimal stretch and non rotation. Good resistance to UV and chemicals. To prevent overheating, slippage, rough or sharp surfaces. Upgrade your winch with stronger synthetic winch rope than traditional steel cables. Color: Gray Length: 15m(50ft) Thickness: 8mm(1/4") Material: Synthetic Fiber Breaking Strength: Average 7700 lbs Suitable for: Universal fits most car SUV ATV. 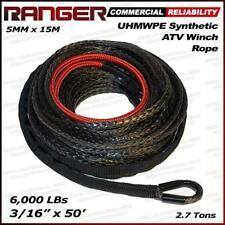 Package Include: 1 X Synthetic Winch Rope Note: Please allow 1-3cm error due to manual measurement. pls make sure you do not mind before you bid. Our products have high reputation in USA ,many positive feedback received. Payment: We accept all credit cards through Paypal. We have developed a wheel bearing greaser tool that allows you to add grease to the bearings. Once your 1/2 shaft is out, or have a new bearing on your bench, simply push the greaser into the bearing, pump it full of grease until the grease is seen coming out of the sides of the bearing, and pull the tool back out. SKU:2xms25812 2xms251012 The MASSFX MS ATV tire can handle anything from farm life, to trails Lewis and Clark wouldn't even take. Now that's tough. The tread pattern is excellent for acceleration and traction even in the worst conditions. Honda ATV Pinion Bearing Nut Tool 60mm TRX 250, 300, 350 Fourtrax Differential for the application below: TRX250 1985-1987 ATC250 Big Red 1985-1987 TRX259SX 1985-1987 TRX350 Rancher 2000-2007 (front) TRX300 1988-2000 2x4 & 4x4 (Front and Rear) TRX350 1986-1989 (front). 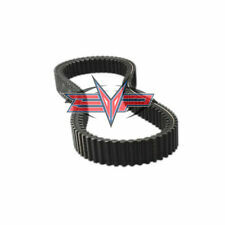 Yamaha Blaster YFS200 YEARS 1988-2006， REPLACES OEM PART NUMBER(S) 2XJ-11311-02-00, 3JM-11351-02-00. Includes Moly Coated Performance Piston Kit, Gasket Kit and More. Piston Rings. Cylinder Bore and Stroke 66.00mm x 57.00mm. 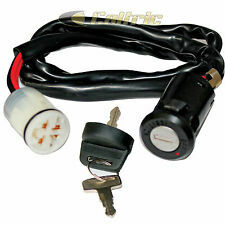 Yamaha Starter Wolverine Big Bear 350,400 YFM350 YMF400. YAMAHA All-Terrain Vehicle (ATV) Wolverine 350 YFM350FX 1995 348cc. YAMAHA All-Terrain Vehicle (ATV) Wolverine 350 YFM350FX 1996 348cc. Current: 500A. Due to light and screen difference, the item's color may be slightly different from the pictures. Green line: switch green. Black line: switch black. New NGK Laser Iridium Spark Plug ,Pro Filter air filter pre-oiled with maxima filter fluid and Hiflofiltro Oil Filter for the 2006-2009 Suzuki LT450R Quadracer. Manufactured by Namura. 1998 Yamaha Grizzly 600 4x4 (YFM600FW). 1999 Yamaha Grizzly 600 4x4 (YFM600FW). 2000 Yamaha Grizzly 600 4x4 (YFM600F). 2001 Yamaha Grizzly 600 4x4 (YFM600F). Piston skirts are Molybdenium Teflon coated to minimize resistance/wear and provide extended life. WARRIOR 350 YFM350X 1990-2004. YAMAHA ATV. Breaking Strength: Average 7700 lbs. Material: Synthetic Fiber. 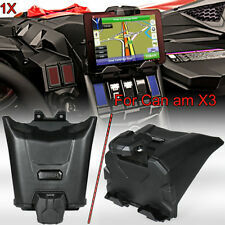 Suitable for: Universal fits most car SUV ATV. Color: Gray. Wind Noise Reduction Seal for Tesla Model 3 Strip Sunroof Version 2 Dampening. If you armature plate is even slightly bent or worn it can cause your 4x4 not to work. Replaces Polaris part #3234407. Fits the following models 2012-14 RZR 570. 2008-14 RZR 800 (All Models). 2011-16 RZR 900 (All Models). 1980 Honda Street Bike GL1100 GOLD WING INTERSTATE. 1980 Honda Street Bike GL1100 GOLD WING. 1981 Honda Street Bike GL1100 GOLD WING INTERSTATE. 1981 Honda Street Bike GL1100 GOLD WING. MAKE SURE THE LAST NUMBER ON YOUR EXISTING TIRES IS A "12" and not a "10". WHEEL & TIRE KITS. Dynamic tread patter provides exceptional acceleration and traction. Unparalleled technology for superior weight to performance ratio. BRAND NEW AFTERMARKET For Suzuki Lt-A50 Alt50 Lt50 Lt 50 Quad Runner 1983-1987 Please check the item carefully before buying. Brand Swmotopart Manufacturer Part Number Does Not Apply Warranty Yes Fits ATV UPC Does not apply. These are a universal application for thumb throttle ATV’s. Billet Aluminum Hard Anodized Locking Rings To Prevent Slipping. 1991-2001. Suzuki King Quad 300. These are enough for both front wheels. A 1 year factory defect warranty applies to all ATV brake pads and shoes, unless otherwise established. Front, Left and Right. HONDA(ATV) ATC250SX 1985 246cc. HONDA(ATV) ATC250SX 1986 246cc. HONDA(ATV) ATC250ES Big Red 1985 246cc. HONDA(ATV) ATC250ES Big Red 1986 246cc. HONDA(ATV) TRX250 Fourtrax 1985 246cc. HONDA(ATV) TRX250 Fourtrax 1986 246cc. Suzuki Quadsport LT 80 LT80 1987-2006. 1x Piston Pin. 1x Set of Piston Rings. 1x Cylinder. 4x Cylinder Studs. Replace Part Number. (As picture shown). Color: As shown in the picture. Yunnan Baiyao Can also be used on animals for example pets such as dogs and cats. Once we received the bag, we will arrange to send you the new model. We will actively solve the problem until you are satisfied.